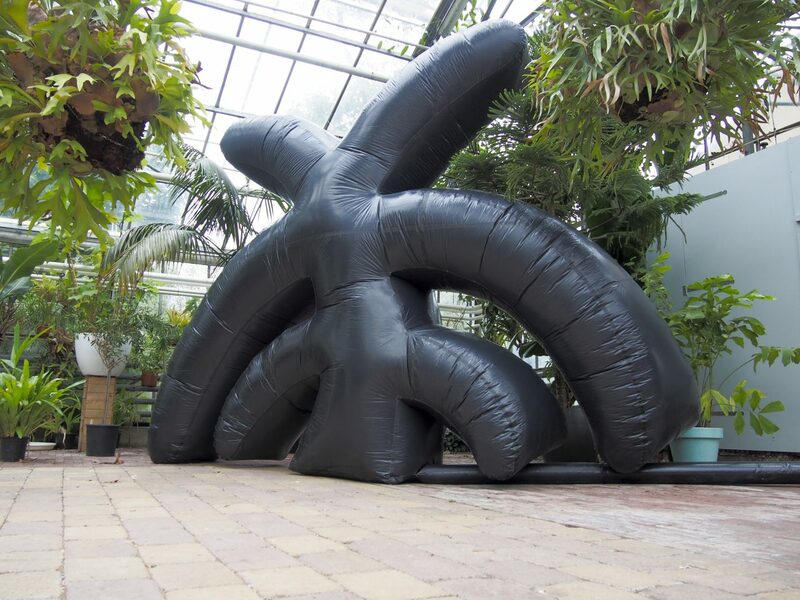 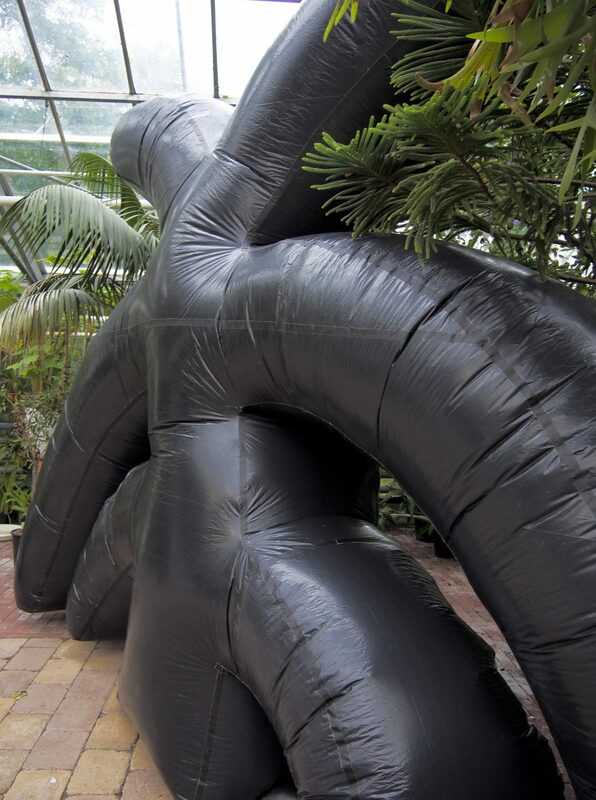 `Plantae Spiritus Plasticus´ is a sculptural installation that consists of deflating inflatable sculpture and a looping ambient soundscape created by Dutch sound artist Alina Valentina. 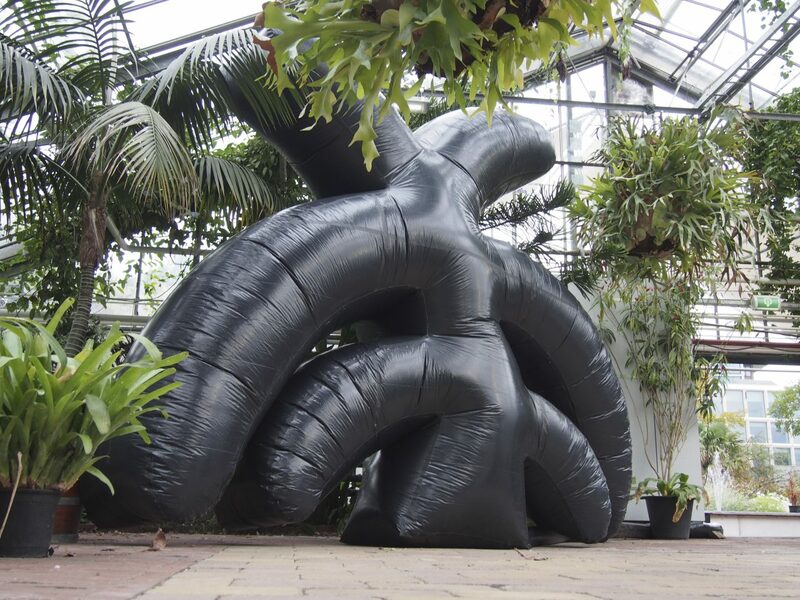 The sculpture deflates in every hour for a 45 second period of time. 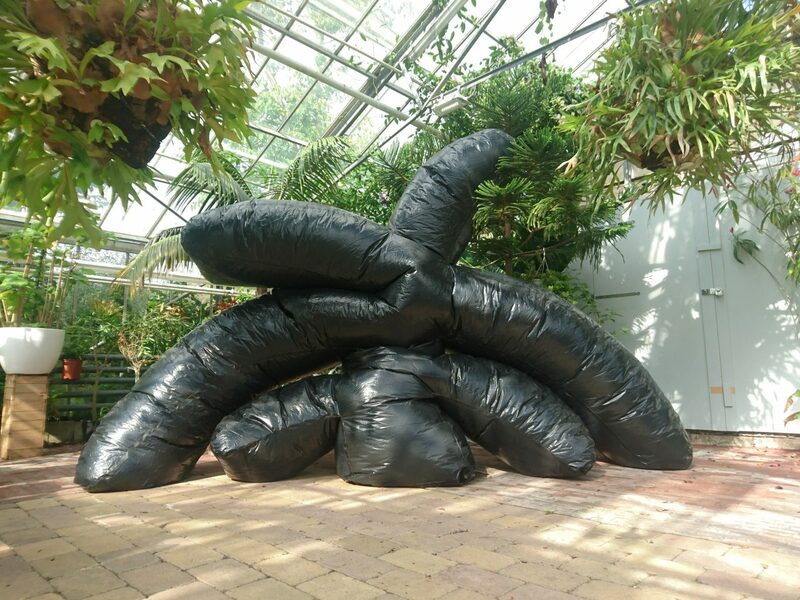 The hourly appearing sudden deflation of the sculpture creates an uncanny moment in the garden where man and the machine already controls the environment. 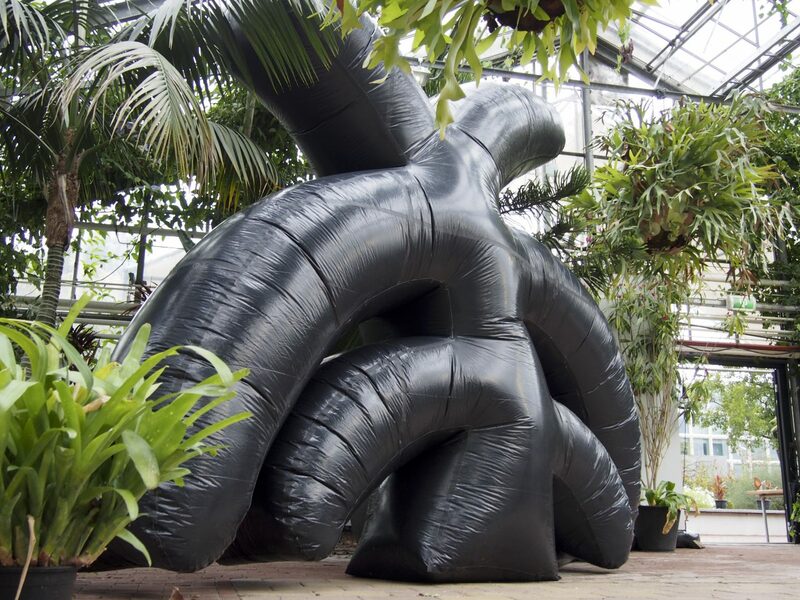 The work looks into the technology-filled automatized future and asks what will our relationship be with nature and plants in the future.